Church and State, Sacred and Secular, Religious and Profane, Divine Right of Kings, Religious Freedom… human history is replete with the ongoing discussions and battles, and very much so in our own day, in politics and social discourse! 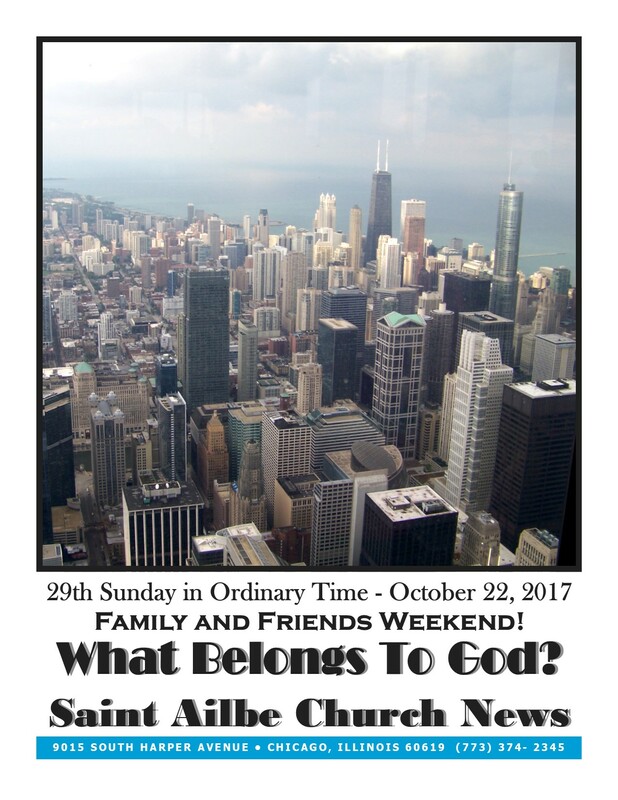 As you look out over the landscape of our city pictured on the cover of the Bulletin, what would you say belongs to God? Just the lake and sky, or churches marked by the towers protruding the skyline? Or is it everything you see? What are the implications of your answer? We see our faith as wholistic. Everything ultimately comes from God. How does this call us to live? What does it mean to be a faithful steward of God’s Creation? We pray, reflect and share with one another the challenge: to enhance human life with the divine life we have been given, building up God’s Kingdom!